WHAT I SMELL: I swore I was putting on Montale’s Black Aoud when I first applied Oud for Highness 75. Not for the faint of heart, but unlike Black Aoud, I didn’t get the burning tire sensation. What I did get a huge blast of agarwood and a sweet, sweet saffron. It smells rather like rose, but I don’t see any rose listed in the notes. I have to admit that I was worried that this would be too loud, but as time goes on, the “in your face” aspects of the perfume move to the side and you’re left with a very sweet, yet cozy ambered honey. This is a bit sweeter than I would normally like, but I do like it. Custom Made fragrance created in 1975. Joining again the collection in 2010. Oud For Highness 75 has been created in honor of its Royal Highness of Jordan combining Crushed Royal Asian Oud, Amber, Sandalwood, Saffron and Honey. Combining cultures and traditions, this fragrance is a Royal testimony to Oud. WHAT IT SMELLS LIKE TO ME: A cheerful majesty. WHAT I SMELL: Established Cognac’s opening is an odd combination of a strong cognac sweetened with what smells like a bit of cotton candy. Very quickly the sharp cognac alcohol turns to a spiced and surprisingly dry herbaceous oak. I would have expected that this fragrance would be moist, but instead it’s very dry. I don’t get much sillage from this, nor is it long-lasting. After a couple of hours this completely disappeared on me. Distinctly masculine woody undertones; an eternal favorite. 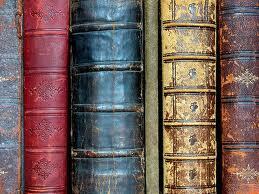 WHAT IT SMELLS LIKE TO ME: An old library with musty books. WHAT OTHERS ARE SAYING ABOUT ESTABLISHED COGNAC 66: I couldn’t find any reviews, except for a few comments on Fragrantica. BOTTOM LINE: I am intrigued by this line. I’m not sure if it’s because of its exclusivity or the fact that they have been around since 1904. In any case, you can purchase their fragrances either online on their website or at one of their two retail locations; one in the Plaza Hotel in NYC and the other in Monte Carlo! Anyone want to take a trip to Monaco? 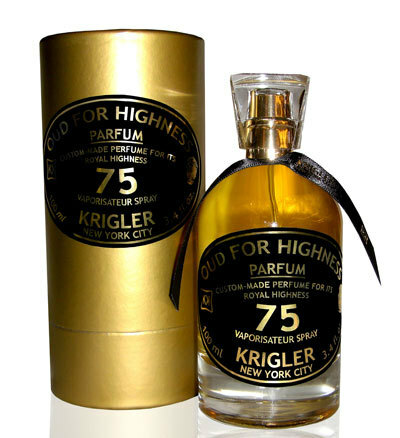 Categories: Krigler | Tags: EDP, Established Cognac, fragrance, Krigler, Oud for Highness, review | Permalink. I like your snarky comments.. and it’s funny, as I was using spell check on what I copied and pasted from the website, there were word misspellings as well. I find that hard to swallow from any company. Yes, $305 is quite the price, not sure if it is completely worth it as there are many other lovely ouds out there for a much more reasonable price. Ow the Cognac sounded lovely until you said it vanished completely – cotton candy and booze, that’s like a dream for me haha. The oud sounds a bit boring 😦 But your positive review of it means I’ll be sure to give it a sniff if I get the change – honeyed amber… mmmmmmmm. I read about them a while back and got some samples… they are probably a bit too safe for you my dear Freddie! I find whiskey and cognac fragrances very interesting and quaint. I think they ooze this old aristocratic masculinity. I often imagine an old aristocratic patriarch sitting in an old leather chair in his library drinking the finest scotch or whiskey and reading old leather-bound books. If you like Cognac 66, you may also like Eau d’Italie Bois d’Ombrie. It has a great whiskey note accompanied by leather and smoky wood. I typically love those fragrances as well. Unfortunately, Established Cognac just fell flat for me. I have never tried the Eau d’Italie line… there is something about their bottles that is off putting to me. Maybe your suggestion will help nudge me in their direction! Eau d’Italie is an unconventional line in my opinion. That’s why they are hard to love. I’ve tried most of the line but I don’t really love any. They are kind of weird pieces of art – I love looking at them but I wouldn’t put them in my living room. You are playing with the BIG BOYS now Steve. That first one is PRICEY!! Does the scent justify the price tag? It is really nice and pleasant, but If it was $240 or something around there, it would be more palatable. $305 is pretty hard for me to swallow. For $305 it needs to be out of this world. Good yes, out of this world, no. Haven’t heard of the brand but this oud sounds nice. It’s very sweet, but very smooth Lucas. I think it might suit me. Where do you find these? I love the smell of old libraries. No I adore it. But at the same time I guess I wouldn’t wear it. Well I don’t like to smell like one ;-). Did you visit the Krigler outpost at the Plaza when you were in New York? I have been meaning to check it out but admittedly, it keeps getting bypassed in favor of other things . . . And also the prices of their fragrances are astronomical! I did not stop there. I really didn’t hear about Krigler until this past month. Next time I’m in NYC…a good incentive to take a trip 🙂 But yes, the prices are pretty mighty. Of course if you’re staying at the Plaza money typically isn’t an issue! I usually pass Krigler on my way through the Food Hall, which is pricey for what it is too. But there aren’t that many other choices up there food-wise! Nice review, very unattractive website. I could kind of understand if it was an old B&M-shopping oriented company that is still in the last century Internet-wise. But with just 2 (two!) locations and those prices… If they pay that attention to their internet face do I actually trust them to be more attentive to the other aspects of their business? I’m not sure. I can’t disagree with you there. I would think that their site would have more of an “old world charm” about it considering their history and longevity is their story. I do admit that I like their apothecaryish bottles though. I was going to say I love the bottle and how it makes me want to uncork it and drink it. But after checking out the website, I have to agree with Undina. Krigler needs a better website! I love Oud for Highness. Though it’s meant for a king, this Queen is happy to wear it. Krigler itself is going through a bit of a transformation–it’s a really old school perfume house looking to recreate itself. Their scents have been worn not only by the King of Jordan but also by Grace Kelly, Jacqueline Kennedy Onassis, and even Ernest Hemingway. Its former glamour is being reshaped by I believe the grandson of the former owner of the company, and they are having a bit of an identity crisis. That being said, Oud for Highness is one of my favorites, and in my mind, totally worth the extra $$$. I ordered Krigler samples over a year ago. OfH was the standout. It reminds me of something wonderful I smelt in the 60s maybe a paint. I’ve tried the looking for a cheaper smell-alike route. Bella Bellisimma has a Royal Amber and Nejma #3. It’s worth it if you love it! The other Krigler I found interesting was 11 Good Fir. Neville – the only other one that I tried thus far is Lovely Patchouli…where I love patchouli, that was a bit too sweet for my taste, although it wasn’t all that bad. I didn’t get a sample of Good Fir, but I’ll have to search that out. I’m not familiar with the others… thanks for the suggestion and thanks for stopping by!